Strip-till is often just a starting point for many farmers. It’s seen as the gateway into something bigger. That something isn’t always a clear vision and may take a couple years to come to fruition, which these three Minnesota SoilWarrior owners have come to realize after experiencing strip-till. All three farmers knew that strip-till was going to benefit their farms but didn’t realize where else it was going to take them. Through the Minnesota Corn Growers Association Innovation Grant they are able to do on farm research that is specific to their farm’s needs. Meet the farmers that are doing on farm research with the SoilWarrior. Coffman recognizes the challenges Minnesota swine producers face with manure application particularly in the fall. As an innovation grant winner, he began to look at integrating swine manure and strip-till, and eventually cover crops. Coffman explains why he believes this is an issue that needs to be addressed, “Manure application is a challenge in the fall for many farmers due to time constraints from harvest, weather, etc. Also, adopting new application practices poses a challenge because “not everyone is doing it”. The goal of this project is to combine the field operations of primary fall tillage (strip tillage in this case) and manure application into a one pass system while improving soil health and ensuring a sustainable manure application method.” Check out Dan’s progress report . Monitoring nitrogen requirements and overall fertilizer cost is a concern for most farmers. This is what A.J. Krusemark was seeking to figure out with his innovation grant, Conventional and Strip-till Nitrogen Management Practices Utilizing Nitrogen Modeling. A.J. looked at three different methods of tillage all with side dressing nitrogen. 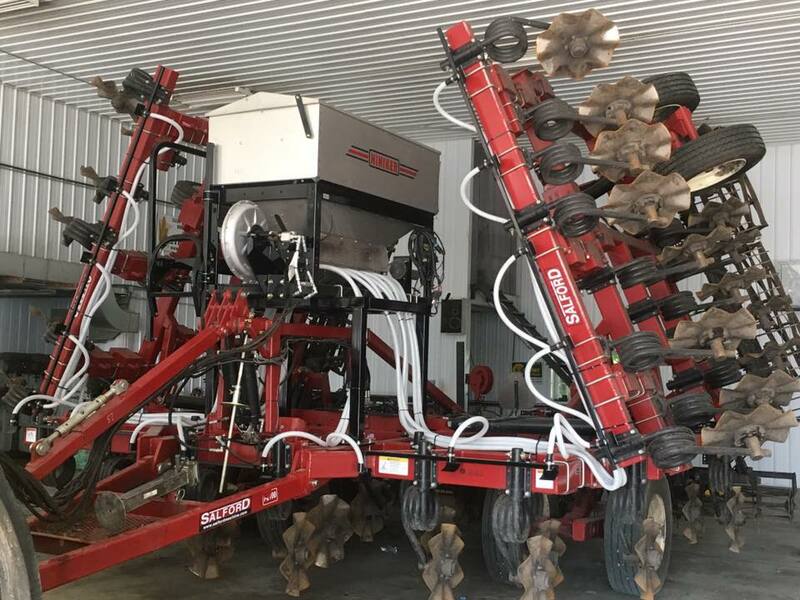 “While the strip tilled acres showed a slight advantage (.1-2.5 bpa) in yield, the biggest benefit we saw was the time saved in the spring not needing a tillage pass.”- A.J. Read A.J.’s final report. A.J. was also a grant winner in 2018 with the grant, Real-Time Liquid Manure Testing and Nutrient Management. One tool, multiple uses, is the idea Brian Ryberg had for a simple tool bar. It was Brian’s goal to create a tool that can side dress nitrogen for the corn, apply cover crops in between the corn rows, and could be a strip-freshener for strip-tilled fields in the spring if needed. The Minnesota Corn Growers Innovation Grant helped Brian’s idea come to life. In Brian’s final report he was excited to share a small portion of the results from a demonstration at his field day, “The local NRCS staff was also on hand with the water infiltration simulator. For this demonstration, they compared soils from long term tilled, no-tilled and to our surprise, our soils. To our excitement, our soils have already transitioned to show phenomenal water infiltration over the heavy tilled soils and very comparable to the no-till sample. We were delighted to see these changes just a few years into a strip till transition.” To see how Brian accomplished his goal of a cover crop seeder on a side-dress toolbar click here for the final report. The Minnesota Corn Growers are accepting applications for the 2019 Innovation Grant request until December 31st. Check with your local or state commodity groups to see what grants are available in your area.